I do my very best to buy organic produce all the time. However, every now and then it doesn’t work out that way. When I can’t get organic, or if I get suckered into a two-for-five dollars deal on conventional produce, I make sure to soak it to get as much pesticide and residue off as possible. It only takes a couple of minutes and it’s super easy. Place your fruits or veggies in a large bowl and fill with water then add some vinegar. The official measurement is three parts water to one part vinegar but honestly I just eyeball it. I’m not overly concerned about the ratio. 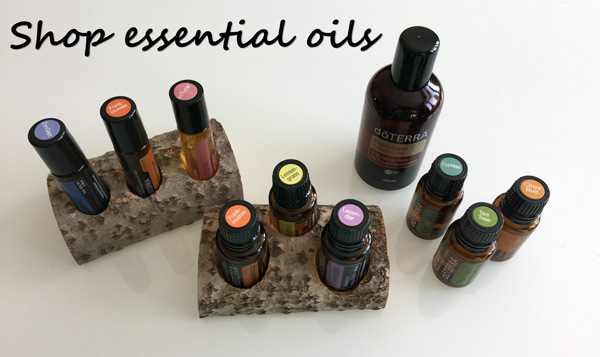 Recently, I’ve even been mixing both methods – vinegar and essential oils. If storing your washed fruits and vegetables, make sure you dry them completely. Pre-washing makes reaching for a healthy snack easy and convenient. I try to include this as part of my food prep routine on the weekend.